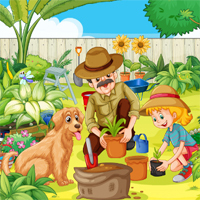 This is a classic hidden object (point and click) game with Garden theme. In this game you need to find some objects listed in the left side of screen. Complete the level within time to get bonus.